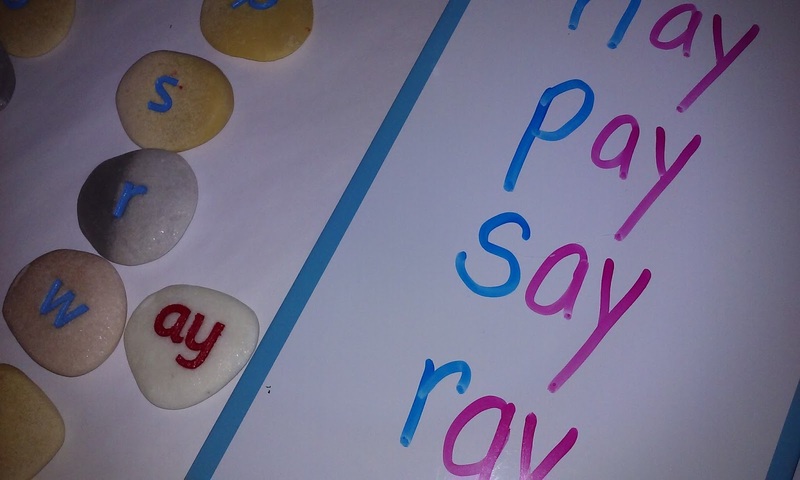 I love these Phonics Pebbles! They are perfect for tactile learners. Teachers *love* manipulatives, especially to engage our tactile and kinesthetic learners! Today I'm sharing some amazing materials from Yellow Door US that are so helpful for young learners. This company is headquartered in the UK, and have expanded to the US, so you might not have heard of them before. Truly, they are an awesome company that focuses on developmentally appropriate materials for young learners. They sent me a couple of items to look at, and a set to share with you. Check out their website: http://www.yellow-door.us! The consonants are blue, and the vowels are red. 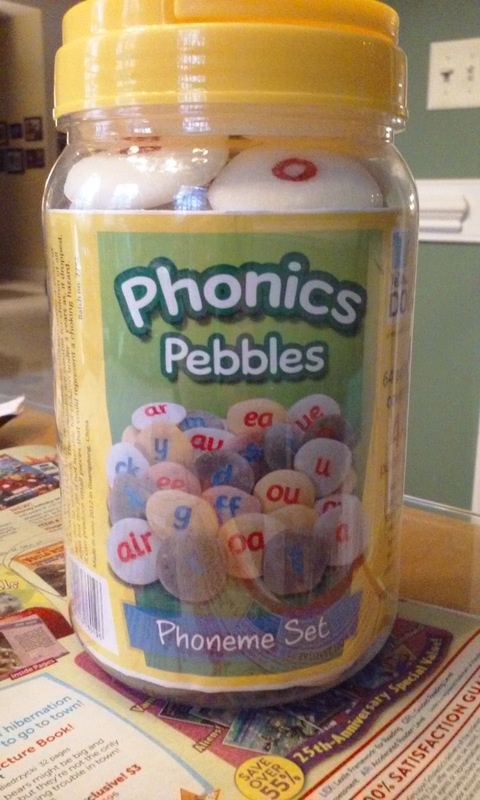 First up, Phonics Pebbles. When I received these, I asked my 6 year old for his opinion. He is a very sensory learner, and immediately he was tracing the letters with his fingers. He showed me how he could use them to find rhyming words in the word family. We started with ay. He made a column of consonants (blue) and showed me how to make different words by shifting the vowel pebble from consonant to consonant. His favorite part? The way they feel. Here's a closer look so you can see the detail. 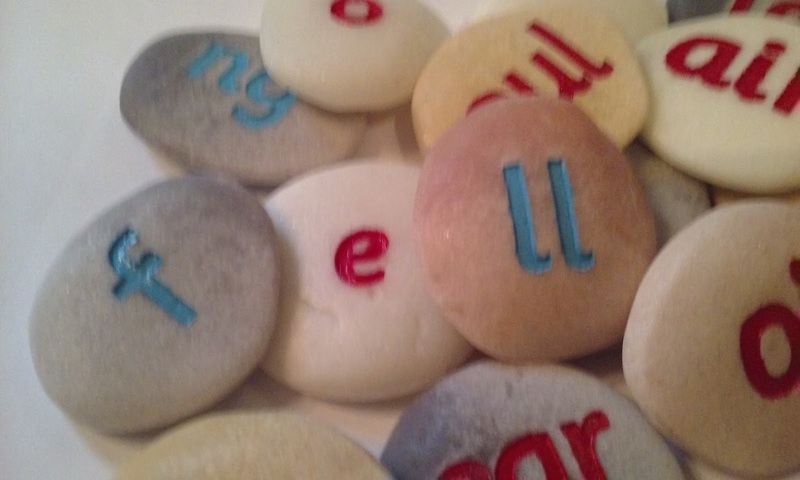 The Phonics Pebbles are perfect for young hands, and you can easily trace the letters with your finger. 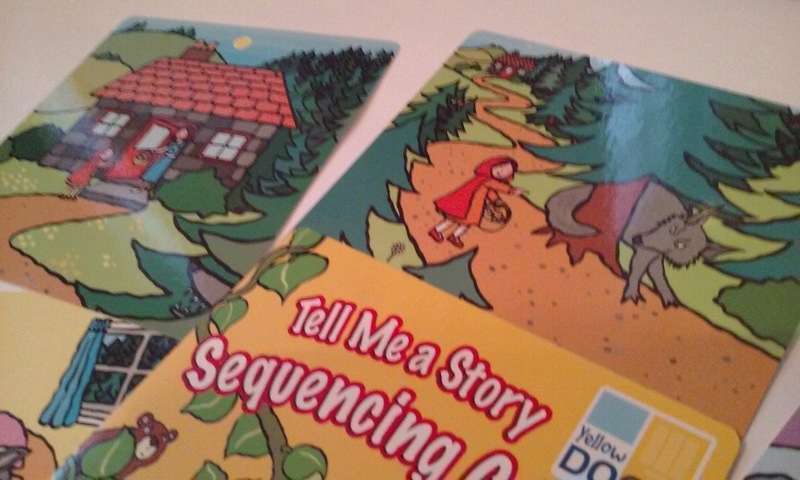 Next, I opened the Tell Me A Story Sequencing Cards. 6 Fairy Tales are included: The Billy Goats Gruff; The Three Little Pigs; Goldilocks and the Three Bears; Little Red Riding Hood; Jack and the Beanstalk; The Gingerbread Man. We started with Little Red Riding Hood, but there are 6 fairy tales included. He was so excited! 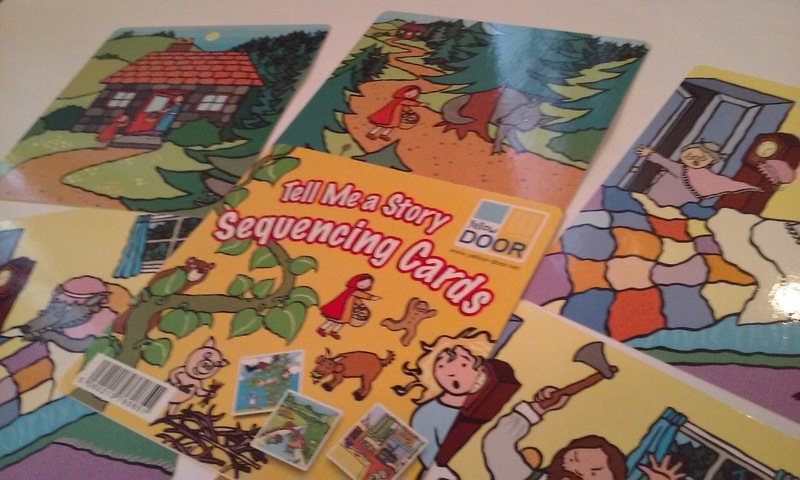 Here's my 6 year old using the sequencing cards for Little Red Riding Hood. The cards are sturdy, and can withstand a lot of little hands without having to be laminated. There are storybooks and CDs available for each fairy tale, so they can listen to the story, read along, and sequence the events. These would be a great addition to any Early Learning environment through first grade (though I would have used them in a heartbeat with my 2nd and 3rd graders!) I would extend the activity for older students, encouraging them to retell on video or write a paragraph summarizing the story. If you homeschool, you will find tons of uses, too! Click on the picture to view the Yellow Door US website. Want to get your own? The lovely folks at Yellow Door US sent me a set of Phonics Pebbles and Tell Me A Story Sequencing Cards to give away to a lucky reader. To make it super simple, write a comment with your email, so I can contact you if you win. I won't use the email for any other purpose. For an extra entry, make another comment telling me what your favorite item is on their website. http://www.yellow-door.us I'll select a winner at random after I have my morning cup of caffeine on Sunday, 3/21/2015. They have materials for special needs, math, technology, literacy, and early childhood. You never know, we might be able to do another giveaway soon!! Yellow Door US is on Facebook, Pinterest, and Twitter. 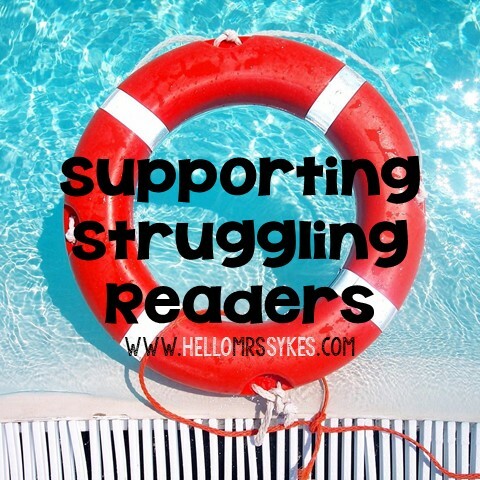 Be sure to tell them Hello Mrs Sykes sent you! In the mood for another giveaway? Be sure to enter this giveaway for a copy of The Reading Game!